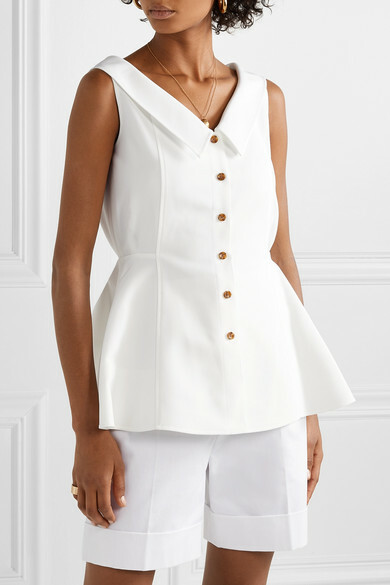 We love how ADEAM's Creative Director Hanako Maeda balanced the bold, '90s-inspired hues on the Spring '19 runway with neutral pieces like this white twill top. 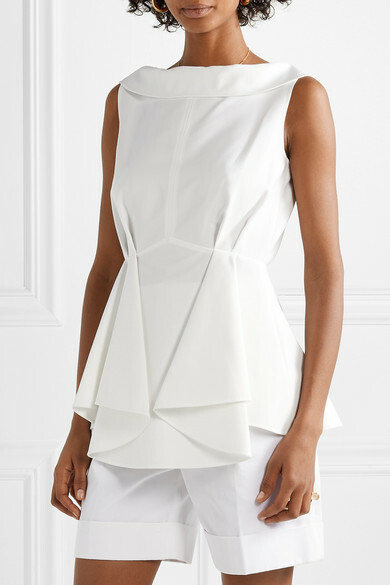 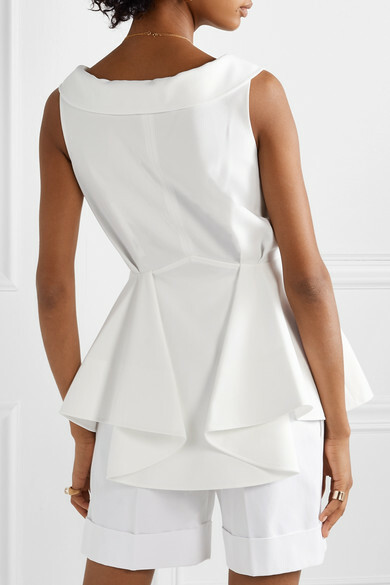 It has a flattering peplum shape and can be worn with either the button-trimmed side or draped one at the front. 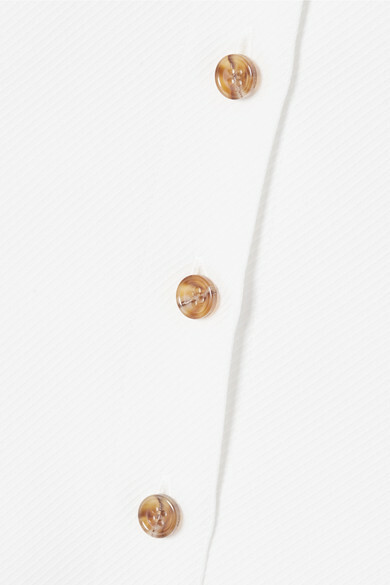 Echo the show styling and pair yours with tonal shorts. 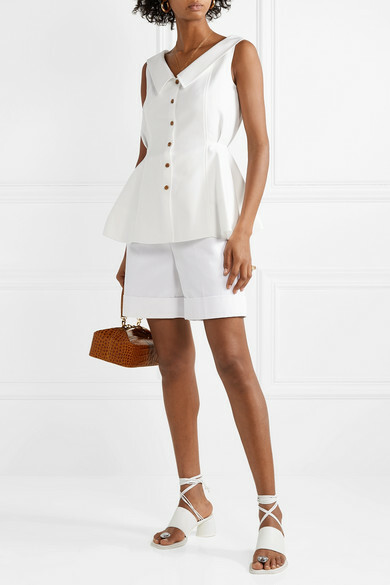 Shown here with: The Row Shorts, REJINA PYO Tote, Ellery Sandals, Laura Lombardi Earrings, Alighieri Necklace, Alighieri Necklace, 1064 Studio Ring, Jennifer Fisher Ring.